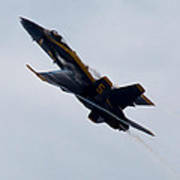 There are no comments for Blue Angel 5 Condensation Climb. Click here to post the first comment. 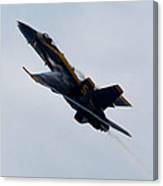 Blue Angel solo #5 performs a high angle of attack climb. The air surrounding the airframe accelerates, and water vapor condenses.